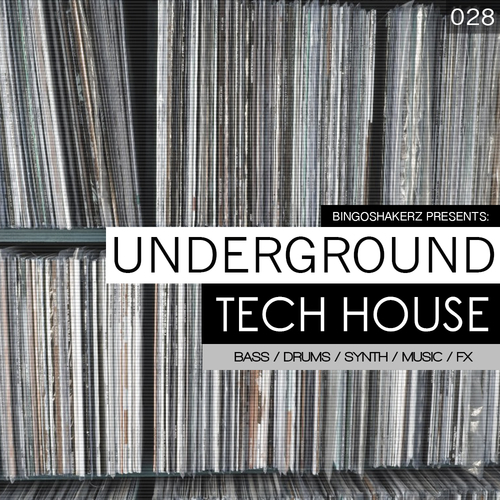 'Underground Tech House' is an essential collection of raw, dark and urban tech-twisted sounds. Featuring 250MB+ of uncompromising analogue-infused bass loops, filthy drum loops, classic stabs and atmospheric music loops, acid-driven synth loops, percussive & top workouts, FX and much more. Drum Loops features stripped elements including Full Mix and all of the constituent elements broken out to: Kick, Percussion, Clap, Hat, Snare for maximum programming ease. Inspired by the artists such as Patrick Topping, Green Velvet, Josh Butler, Jamie Jones or Jay Lumen – 'Underground Tech House' delivers prime quality sounds for your next club-banger.